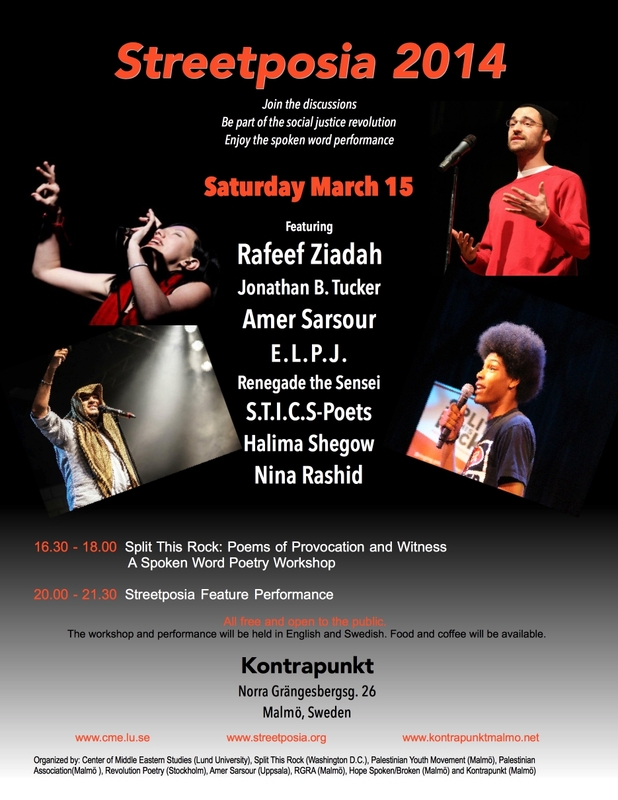 20.00 to 21.30 – Spoken Word Performance Featuring Rafeef Ziadah from London, Jonathan B. Tucker, E.L.P.J., and Renegade the Sensei from Split This Rock in Washington, DC and Amer Sarsour from Revolution Poetry of Stockholm. 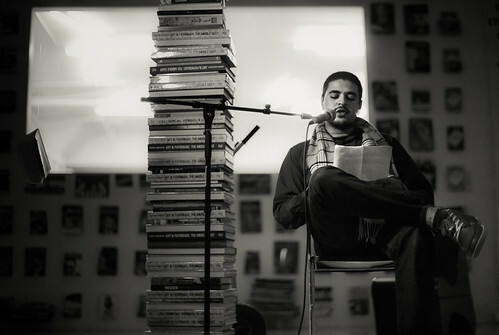 Rafeef is a Palestinian performance poet and human rights activist based in London. Her performances of poems like ‘We Teach Life, Sir’ and ‘Shades of Anger’ went viral online within days of their release. She received an Ontario Arts Council Grant from the Word of Mouth programme to create her debut spoken-word album Hadeel. Since releasing her album, she has toured many countries, performing poetry and conducting workshops. 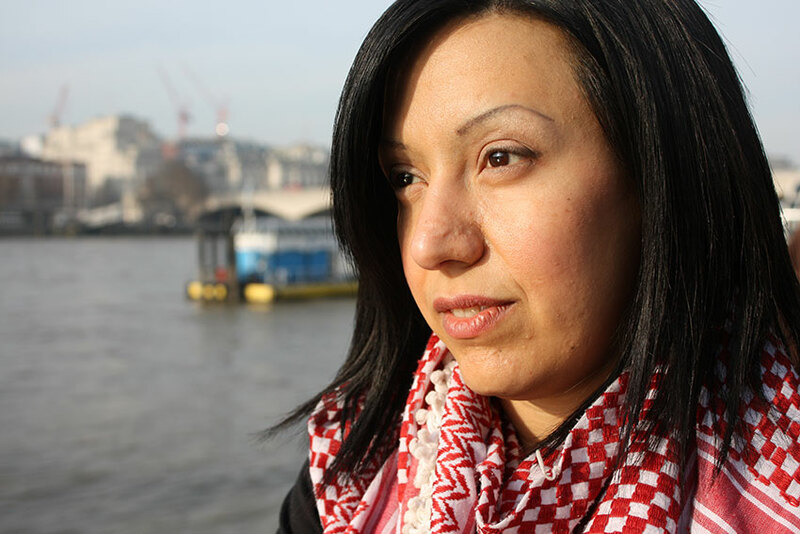 She was chosen to represent Palestine at the South Bank center Poets Olympiad in 2012. Rafeef’s debut ablum Hadeel is dedicated to Palestinian youth, who still fly kites in the face of F16 bombers, who still remember the names of their villages in Palestine and still hear the sound of Hadeel over Gaza. 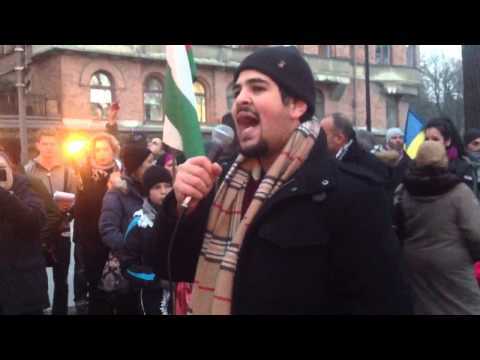 Amer Sarsour, young poet speaking at rally.